The plot of the Valoga site near Ohoden has been acquired by Vratsa Municipality free of charge; it has an area of 57 decares (app. 14 acres), reports local news site Kmeta. Thus, the municipal authorities have fulfilled one of the requirements for receiving funding from the Bulgarian Ministry of Culture in order to turn the Early Neolithic archaeological site near Ohoden into an open-air museum. The project submitted by Vratsa Municipality to the Culture Ministry is seeking funding of BGN 800,000 (app. EUR 410,000) in order to restore the prehistoric settlement at Ohoden in its authentic appearance, and to fashion an open-air museum with a total area of 1276 square meters, with designated sites for experimental archaeology. “Our goal is to breathe new life into the local cultural heritage. We will achieve it by creating an open-air museum on the excavated part of the Valoga archaeological site, which is an Early Neolithic settlement and cult center," Vratsa Mayor Nikolay Ivanov is quoted as saying. 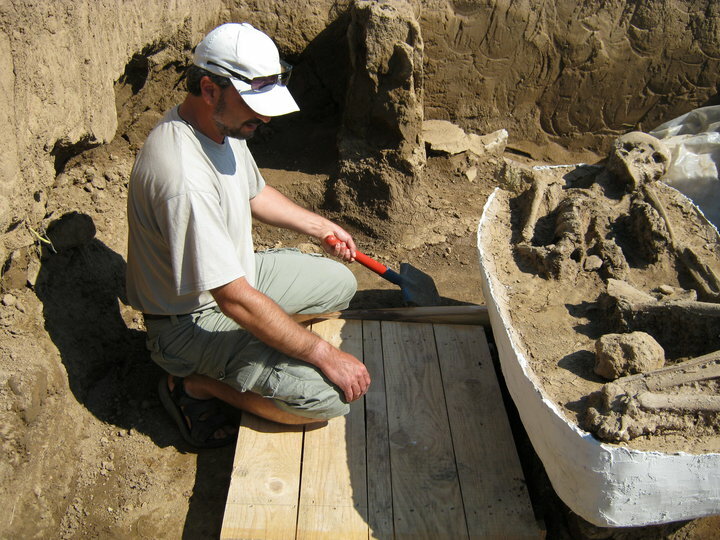 The Early Neolithic site at Ohoden has been excavated for almost 15 years now by archaeologist Georgi Ganetsovski from the Vratsa Regional Museum of History. The artifacts and graves that he has found there indicate that the 8,000-year-old settlement might represent the earliest agricultural civilization in Europe. It had a fertility temple with what was likely the world’s oldest sun shrine, and an altar decorated with huge elk trophy horns. The archaeologists excavating the Valoga site near Ohoden have found the skeleton of a prehistoric woman named “Todorka", and of a man named “Hristo" named so he died at about 33, the age of Jesus Christ, and the remains of other people thought to have been their relatives. The archaeological site Valoga near Ohoden was recently threatened by flooding because of the rising waters of the Skut River.